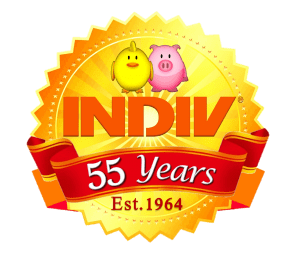 International Division, Inc. (“INDIV”) warrants to the original purchaser that INDIV products will be free from defects in materials and workmanship for a period of one (1) year from the date of original invoice, but only if the defect did not arise from shipping, storage, use, installation or maintenance in a manner consistent with the intended use and purpose of the products. If INDIV is notified that a defect exists within one (1) year of the original invoice date, and upon inspection, INDIV determines that the product is defective, INDIV will repair or replace the defective product. Expenses incurred by or on behalf of the purchaser prior to the determination by INDIV, and without prior written authorization from INDIV, shall be the sole responsibility of the original purchaser. All delivery and shipment charges in connection with warranty claims shall be paid by purchaser. Warranties are Ex Factory and do not include any labor and/or installation charges. WITH THE EXCEPTION OF THE WARRANTY PROVIDED ABOVE, THE PRODUCTS ARE PROVIDED “AS IS” AND “AS AVAILABLE”, WITH ALL FAULTS AND WITHOUT WARRANTY OF ANY KIND. THIS DISCLAIMER INCLUDES WITHOUT LIMITATION, WARRANTIES OF MERCHANTABILITY, FITNESS FOR A PARTICULAR PURPOSE, TITLE, AND NON-INFRINGEMENT OF PROPRIETARY RIGHTS. IN NO EVENT SHALL INDIV, ITS AGENTS OR EMPLOYEES, BE LIABLE FOR ANY PERSONAL INJURY OR PROPERTY DAMAGES WHATSOEVER, INCLUDING BUT NOT LIMITED TO, EXEMPLARY OR PUNITIVE DAMAGES, WHETHER SUCH CLAIM IS BASED ON WARRANTY, CONTRACT, TORT (INCLUDING INDIV’S OWN NEGLIGENCE) OR OTHERWISE. INDIV SHALL NOT BE RESPONSIBLE FOR ANY DIRECT, INDIRECT, INCIDENTAL OR CONSEQUENTIAL DAMAGES, INCLUDING WITHOUT LIMITATION, LOSS OF ANTICIPATED PROFITS OR BENEFITS. THE SOLE AND EXCLUSIVE REMEDY AS SET FORTH IN THIS LIMITED WARRANTY, WHICH SHALL NOT EXCEED THE AMOUNT PAID FOR THE PRODUCT PURCHASED. THIS WARRANTY IS NOT TRANSFERABLE AND APPLIES ONLY TO THE ORIGINAL PURCHASER. INDIV SHALL HAVE NO OBLIGATION OR RESPONSIBILITY FOR ANY REPRESENTATIONS OR WARRANTIES MADE BY OR ON BEHALF OF ANY DEALER, AGENT OR DISTRIBUTER. THIS LIMITED WARRANTY ONLY APPLIES TO PRODUCTS MANUFACTURED BY INDIV. THIS LIMITED WARRANTY EXCLUDES ELECTRICAL PARTS AND/OR ELECTRONIC PROBLEMS OR DETERIORATION WHICH OCCURS IN THE PRODUCT BY REASON OF VOLTAGE VARIATIONS AND/OR VARIATIONS IN THE POWER SUPPLY. Malfunctions resulting from misuse, abuse, mismanagement, negligence, alteration, accident or lack of proper maintenance shall not be considered defects under this limited warranty. The use of chemicals or substances for cleaning products must only be used if verified in the corresponding manual. INDIV and customer agree this limited warranty shall be interpreted according to the laws of the state of Missouri. In the event of litigation arising out of this limited warranty in any way, INDIV and customer agree that such suit shall be brought in the Circuit Court of Greene County, Missouri, in any division thereof. Because of the expense and complexity of jury trials, INDIV and customer hereby waive trial by jury. The parties waive jurisdiction in any court, state or federal, other than the circuit court of Greene County, Missouri. This order is accepted subject to the general terms and conditions of sale and delivery of International Division, Inc. (INDIV), which supersede any terms and conditions requested by the purchaser previously or hereafter. These commodities, technology or software were exported from the United States, and other countries, in accordance with the export administration regulations. Diversion contrary to United States law is prohibited. We certify that the prices stated in this invoice are current export market prices. Prices are in United States Dollars unless otherwise noted. DISCLAIMER OF WARRANTY CLAIMS: IN THE EVENT OF A WARRANTY CLAIM, INTERNATIONAL DIVISION, INC. (INDIV), AS AN AUTHORIZED DISTRIBUTOR, WILL ASSIST BOTH THE ORIGINAL MANUFACTURER AND THE CUSTOMER WITH THE RESOLUTION. THE ONLY WARRANTY PROVIDED TO THE CUSTOMER IS THE WARRANTY OF THE MANUFACTURER OF THE EXPORTED ITEM OR ITEMS. ANY DECISION MADE BY THE ORIGINAL MANUFACTURER WILL BE FINAL AND INDIV WILL NOT BE HELD RESPONSIBLE, REGARDLESS OF THE DECISION MADE BY THE ORIGINAL MANUFACTURER. WARRANTIES ARE EX FACTORY AND DO NOT INCLUDE ANY LABOR AND/OR INSTALLATION CHARGES. THE COMMODITIES, TECHNOLOGY OR SOFTWARE, PROVIDED UNDER THIS AGREEMENT, ARE PROVIDED “AS IS” AND “AS AVAILABLE”, WITH ALL FAULTS AND WITHOUT WARRANTY OF ANY KIND. THIS DISCLAIMER INCLUDES WITHOUT LIMITATION, WARRANTIES OF MERCHANTABILITY, AND FITNESS FOR A PARTICULAR PURPOSE, TITLE, AND NON-INFRINGEMENT OF PROPRIETARY RIGHTS. CUSTOMER UNDERSTANDS AND AGREES THAT ITS USE OF THE EXPORTED ITEM OR ITEMS ARE AT CUSTOMERS’ OWN DISCRETION AND RISK, AND THAT CUSTOMER SHALL BE SOLELY RESPONSIBLE FOR ANY DAMAGES CLAIMED TO ARISE FROM THE PURCHASE OR USE OF THE EXPORTED ITEM OR ITEMS. IN NO EVENT, SHALL INTERNATIONAL DIVISION, INC. (INDIV) OR ANY OF ITS OFFICERS, AGENTS OR EMPLOYEES BE LIABLE FOR ANY PERSONAL INJURY OR PROPERTY DAMAGES, OR ANY ACCIDENTAL, SPECIAL, INDIRECT OR CONSEQUENTIAL DAMAGES WHATSOEVER INCLUDING, BUT NOT LIMITED TO, EXEMPLARY OR PUNITIVE DAMAGES, WHETHER SUCH CLAIM IS BASED ON WARRANTY, CONTRACT, TORT (INCLUDING INTERNATIONAL DIVISION, INC.’S OWN NEGLIGENCE) OR OTHERWISE. IN THE EVENT A COURT OF COMPETENT JURISDICTION DETERMINES THAT INTERNATIONAL DIVISION, INC. (INDIV) IS RESPONSIBLE FOR ANY DAMAGES IN CONNECTION WITH THE COMMODITIES, TECHNOLOGY OR SOFTWARE EXPORTED UNDER THIS AGREEMENT, THEN CUSTOMER AND INTERNATIONAL DIVISION, INC. (INDIV) AGREE THAT INTERNATIONAL DIVISION, INC.’S (INDIV’S) LIABILITY SHALL BE LIMITED TO AND SHALL NOT EXCEED THE PURCHASE PRICE OF THE EXPORTED ITEM OR ITEMS. IN THE EVENT OF CONFLICT BETWEEN THIS DISCLAIMER OF WARRANTY AND THE CONDITIONS OF SALE AND DELIVERY, THEN THIS DISCLAIMER SHALL CONTROL. HOWEVER, THIS DISCLAIMER, AND THE CONDITIONS OF SALE AND DELIVERY, IS TO BE DEEMED CUMULATIVE, AND NOT EXCLUSIVE OF ANY OTHER RIGHTS CONTAINED IN THE CONDITIONS OF SALE AND DELIVERY. Products and Warranties are subject to change without notice.